George Beahm, author of four companion-style books – on Michael Jordan, Stephen King, Anne Rice, and censorship – has made his unofficial companion on Patricia Cornwell his last companion-style book. Why choose Patricia Cornwell, one might ask? Beahm provides the answer in his introduction: Cornwell has kept a low profile, no book-length books had been published on her work at the time of publication (2002), and because she values privacy, restricting interviews with the media. Beahm explains why he chose to write an ‘unofficial’ rather than an official companion. It gives the author freedom, he argues, because you are not beholden to the subject. He was able to disregard the personal and professional jealousies of other writers and acquaintances and focus on highlighting the reasons for Cornwell’s extraordinary success, providing an excellent balance between what readers would like to know, while safeguarding Cornwell’s privacy. Cornwell’s protagonist, Chief Medical Examiner Kay Scarpetta, represents, argues Beahm, Cornwell’s personal credo: ‘Enlightenment. Justice. Do no harm. Fight the fight. Leave the world better than you found it’. It is this motto that has earned both Scarpetta and Cornwell their legions of fans. And it is this that distinguishes Cornwell from other bestselling authors: Scarpetta lives out the motto to the full and as a consequence possesses a ‘sense of humanity that . . . is lacking in her fictional counterparts who seem in comparison to be mere cogs in the storytelling machinery’ (222). What Scarpetta does in the fictional world, Cornwell lives out in the real world, an excellent example, arguing Beahm, being Cornwell’s generous funding to the Forensics Institute. 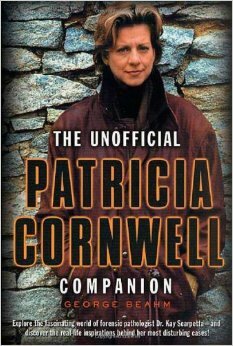 The Unofficial Patricia Cornwell Companion is divided into three sections: The facts: A look at the life of Patrician Cornwell’; The fiction: A look at the works of Patricia Cornwell’; and ‘What’s next for Patricia Cornwell and Kay Scarpetta’. Three comprehensive appendices contain fascinating material on the technical aspects of Kay Scarpetta’s world; visiting Virginia, Kay Scarpetta’s home ground; and a guide to collecting Patricia Cornwell respectively. An informative chronology of Patricia Cornwell’s life up to 2003 is also provided. The companion also contains numerous interviews and articles about Cornwell’s work, several rare photographs of Cornwell and her world, and a discussion of each title up to Jack the Ripper, Case Closed (2002). Beahm’s study is particularly illuminating on the relationship between Cornwell and her body of work. Of special interest in this regard, argues Beahm, is Cornwell’s non-fictional Ruth, A Portrait: The Story of Ruth Bell Graham (1997), which is a revised version of A Time for Remembering, the Ruth Bell Graham Story (1983). Beahm concludes that the positive influence of Ruth Bell Graham on Patricia Cornwell ‘cannot be overstated’ (78). Cornwell herself acknowledged that ‘If any single person in this world made a difference in my life, she did’ (USA Today, ‘Make a Difference Day’). Beahm concludes that ‘the story of Ruth Bell Graham’s life is every bit as inspirational as her husband’s, and its telling is done by Cornwell with genuine admiration, giving Ruth Bell Graham the recognition she so richly deserves’ (79). Since the publication of The Unofficial Patricia Cornwell Companion in 2002, a new companion has been released: Glen L. Feole and Don Lasseter’s The Complete Patricia Cornwell Companion (Berkley Publishing, 2005). While Feole and Lasseter’s companion is more comprehensive, particularly with regard to the technical aspects of Kay Scarpetta’s work, it does not address as clearly or thoroughly the relationship between Cornwell and her body of work. And as with all companions, neither Beahm’s nor Feole and Lasseter’s is completely up-to-date. Patricia Cornwell’s website announces, for example, that a new Scarpetta novel, Dust, has been released this year (see http://www.patriciacornwell.com/). Readers are advised to consult Cornwell’s website, which is very comprehensive and contains a short but informative video on Dust. Beahm’s The Unofficial Patricia Cornwell Companion lives up to its promise to provide fascinating details about Cornwell’s life and work but without encroaching on her privacy. It is a ‘must read’ for all Cornwell fans who wish to go beyond the works themselves. It is also a useful reference tool, with its glossary of forensic terminology, character guides, interviews and articles. Above all, it takes a revealing look at a reclusive author, showing how real life and fiction come together to produce one of the most popular mystery series today. Jane Mattisson Ekstam is an Associate Professor of English, Kristianstad University, Sweden. 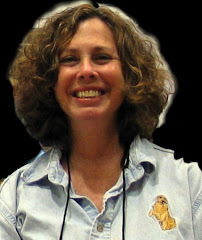 Jane has contributed to several issues of Mystery Readers Journal.